I begin the video with a list of items that includes a light stand, a flash bracket (umbrella adapter), and an accessory shoe (or cold shoe). Note: some umbrella adapters include a cold shoe, either permanently attached to the top of the adapter or included along with a common threaded spigot that fits into the top of the swivel. I also demonstrate how to use the umbrella adapter. The one shown in the video is the Impact CA-108 and it’s one of my favorites. The image below illustrates how the accessory shoe is mounted to the top of the adapter so that you can mount the foot of a speedlight-type, hot shoe flash to it. An angled hole is designed to secure a lighting modifier (usually an umbrella) shaft in place. 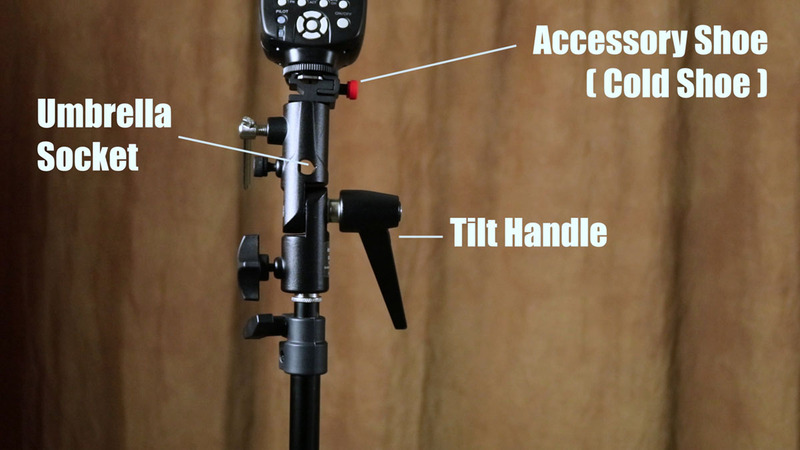 And the ratcheting tilt handle allows you to change the angle of the flash and modifier as a single unit. The light stand I use in the demo is a solid but lightweight Impact LS-8AI. 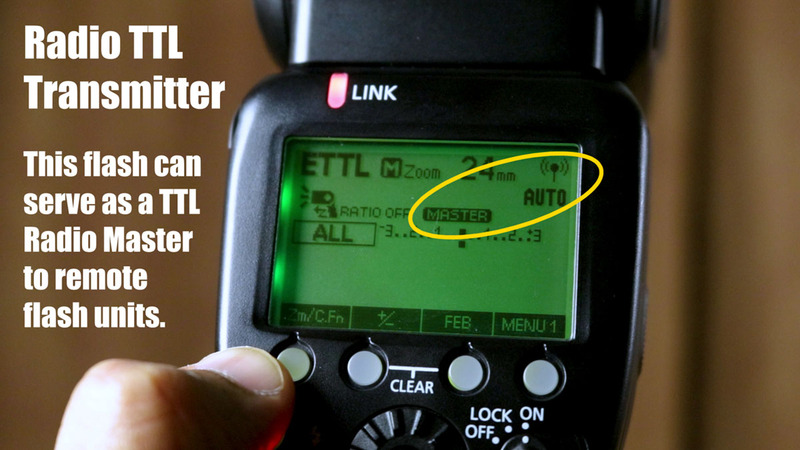 Most remote flash units can be triggered and controlled in TTL mode, with a compatible camera and some way to send TTL signals to the slave unit(s). 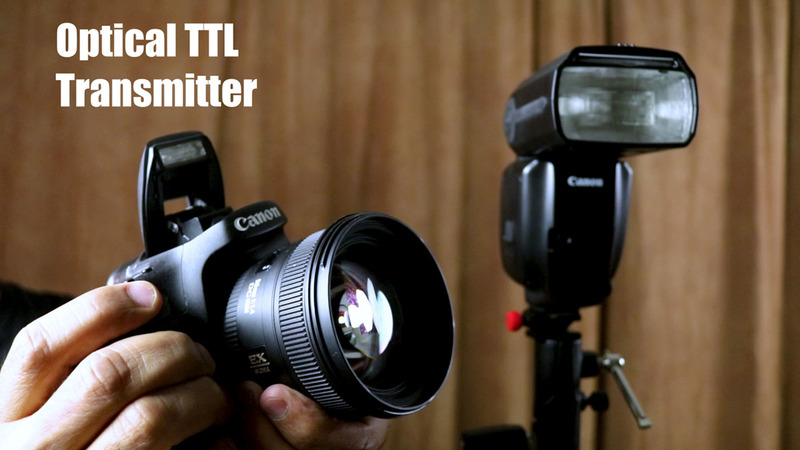 TTL and flash control come in many flavors, including E-TTL II for Canon and i-TTL for Nikon systems. 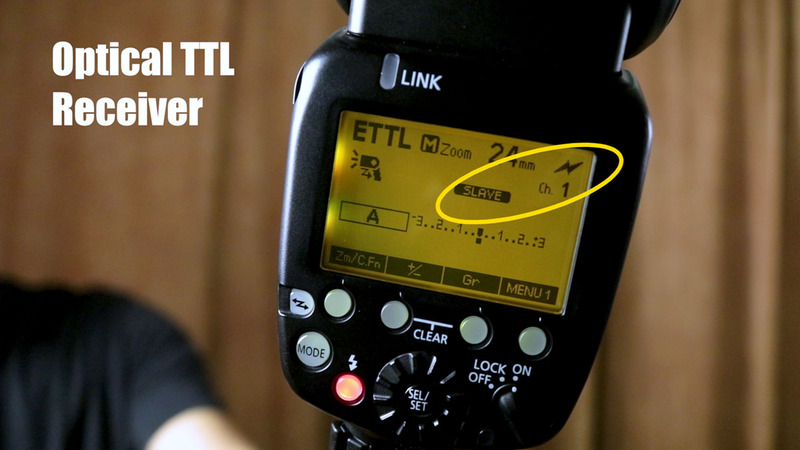 One way to implement this is to use a TTL-capable flash on a lightstand, set it to TTL mode, and use your camera’s pop-up flash to act as a “commander” or otherwise, transmitter to the remote flash. If your camera doesn’t have the ability to transmit optical signals this way, you might use a special transmitter (E.g. 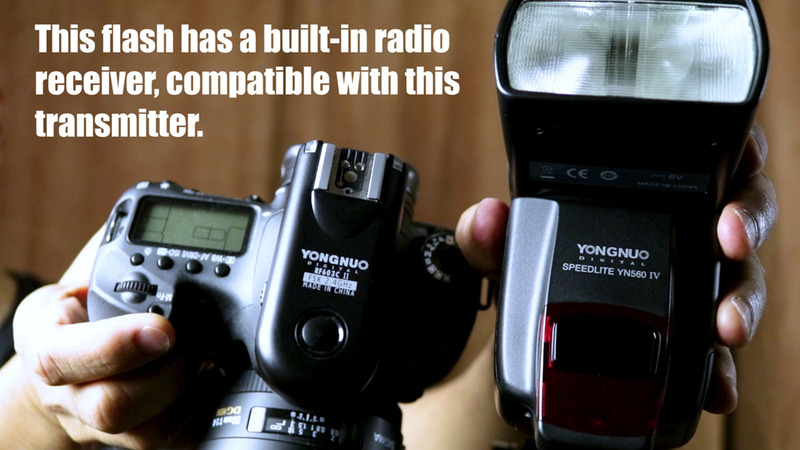 Canon’s ST-E2) or a flash unit that is capable of serving as “master” flash in your setup. 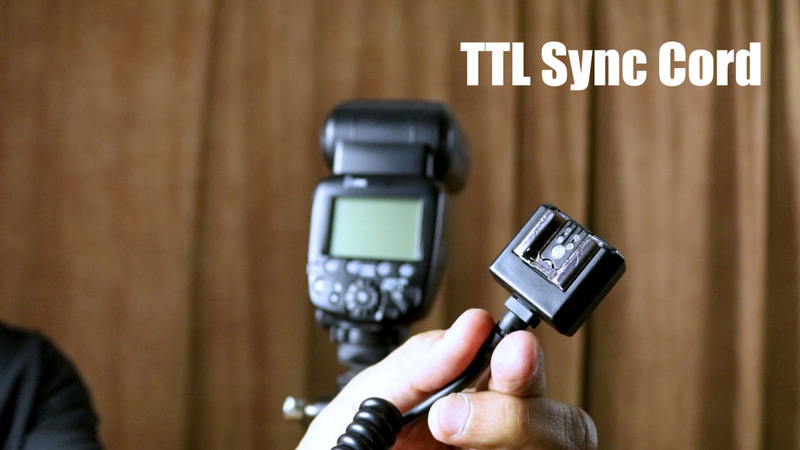 Other ways to trigger remote flash units in a TTL setup include using a dedicated TTL sync cord, or by radio signal. I prefer radio to anything else because I can avoid clumsy cords (that tend to fail eventually) and line-of-sight transmission problems that plague optical triggering. 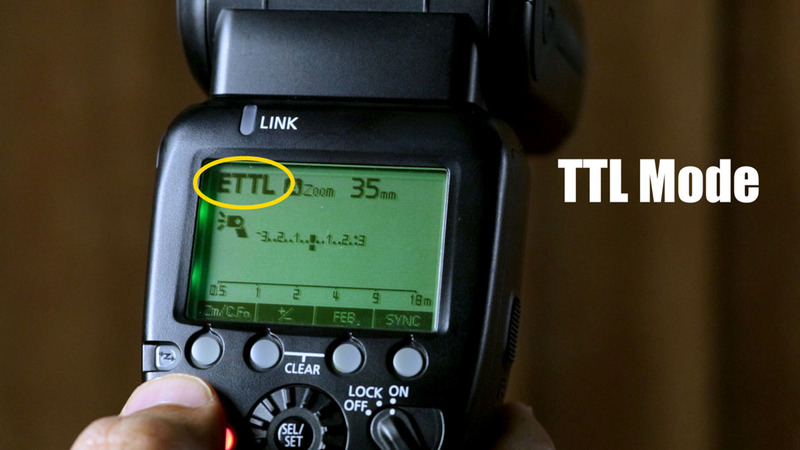 TTL is definitely convenient, especially for beginner photographers, but that convenience comes with some complexity and sacrifice of fine control. I use manual flash and camera setups for most of my lighting setups. Of course, in manual mode, the camera doesn’t do the thinking for you, you’ve got to adjust the lighting output of each remote flash and manage the exposure settings on your camera. That might sound complicated, but the truth is, once you do it a few times, you’ll find that you use the same general settings over and over again. It becomes fairly routine, and making the necessary adjustments and tweaks is just a matter of taking test shots as you go. In the video, I demonstrate simple manual off-camera flash triggering using a set of Yongnuo triggers. 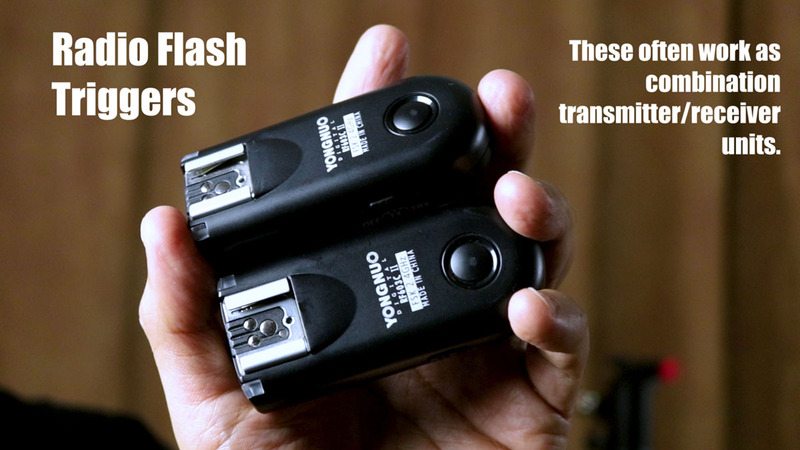 These are simple “dumb” radio transmitter/receiver units that have one job: fire the flash when you click the shutter button. At least, that’s how I use them. 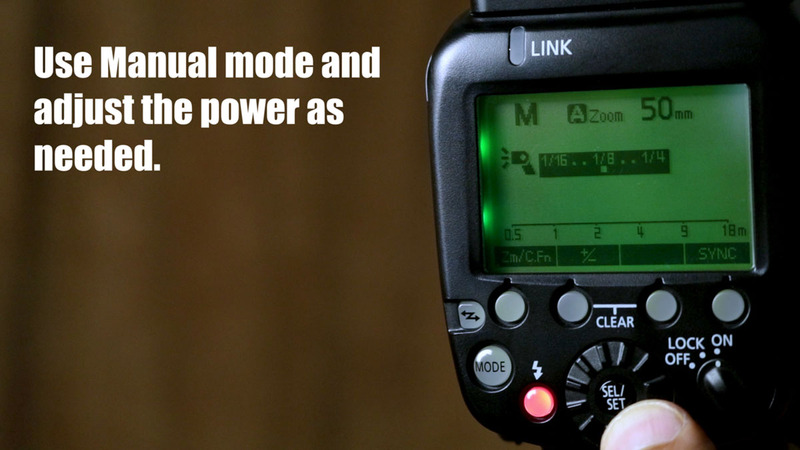 Manual off-camera flash allows you to take full control over your flash units, and maintain consistency across shots. You’ll always know what your light is doing, whereas with TTL setups, most of the actual power output can’t actually be tracked, because it’s being calculated and adjusted behind-the-scenes for you. 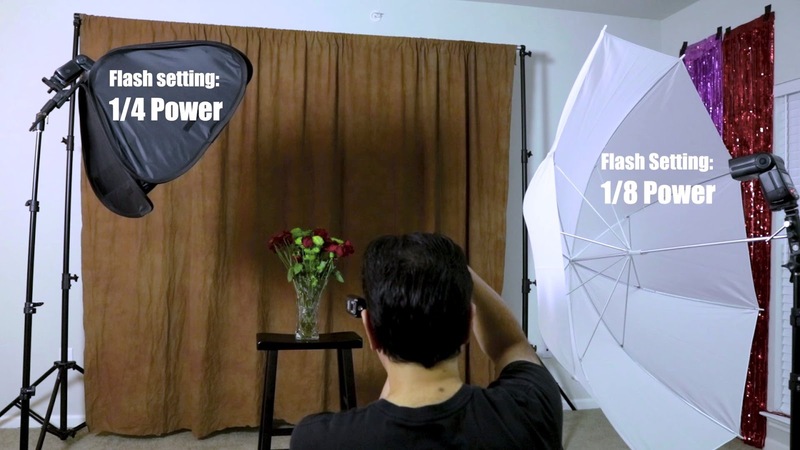 Slight changes in the setup could throw off your camera’s exposure calculations. TTL opens the door for inconsistent results. With manual setups, you avoid that. 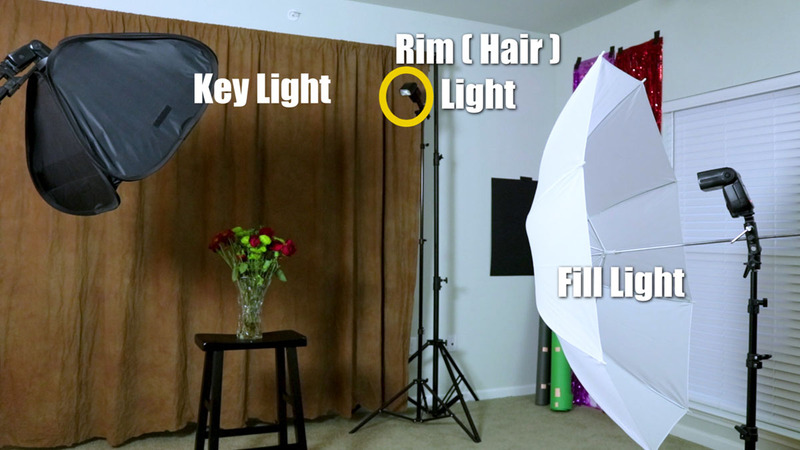 Finally, I use the remainder of the video to demonstrate some basic lighting setups including the three-point lighting scenario shown below. Here, I’m using a speedlight softbox as my main/key light, an umbrella-modified light as a fill, and an unmodified flash as a rim/accent light. You can add or subtract lights and change the position of the lights for different effects. See the video for examples. 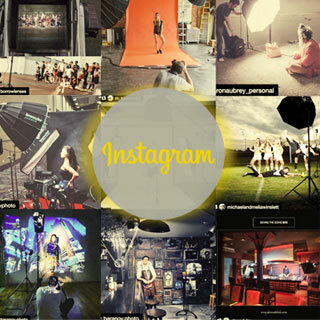 I want to help you become a better, happier photographer. 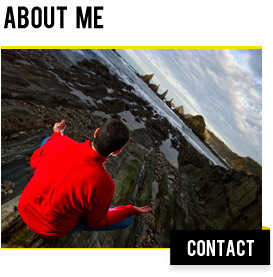 Let's Get Connected: www.veroskycourses.com or get his free ebook "Easy on-camera flash"